Meet at port and leave for Ephesus, the veritable cradle of early Christianity. Visit the Shrine of The Virgin Mary where she supposedly spent her later days. Proceed to Ephesus and see the spectacular ruins from the period of St. Paul, some of which have only recently been excavated. See the Odeon, the Bouleterion, Fountains, the Temples, the Brothel, the Library, the Agoras, the Great Theatre, the Roman Baths, the Gymnasiums. After lunch, visit Temple of Artemis, which had been built at first during the Archaic period, today it`s known one of the Seven Wonders of Ancient World. Proceed to see Basilica of St. John, Built by the Emperor Justinian over the tomb of St. John the Apostle, the Basilica, now in ruins, once rivaled St. Sophia in size. 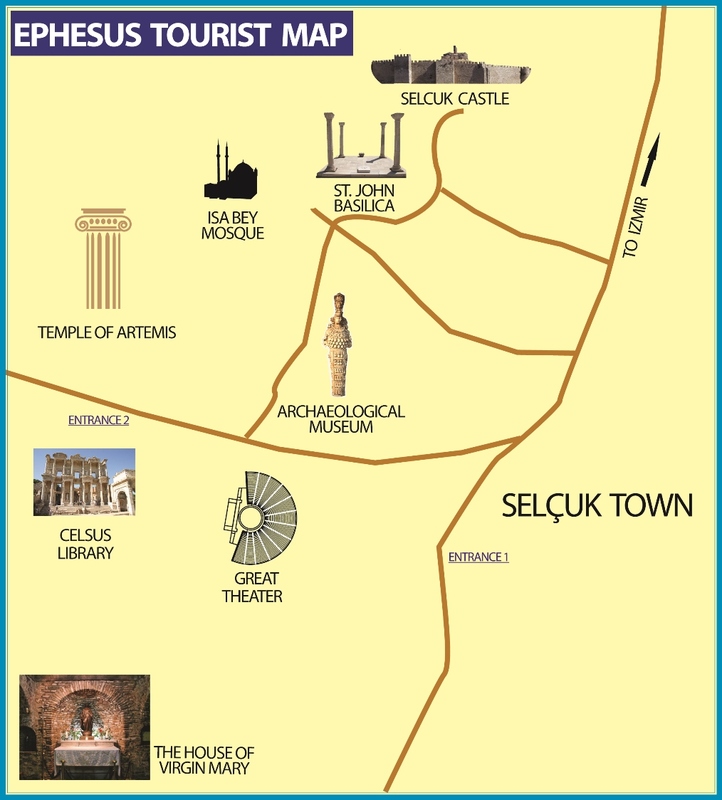 See the remaining graceful columns and mosaics of the Basilica as you take in the panorama of the rural Selcuk countryside. Finally you will see Terrace Houses, near the Library of Celsus, at the bottom of the slope of the mount, is a row of houses that were thought to be the residences of the wealthy people of Ephesus. These are called Ephesus Terrace Houses.